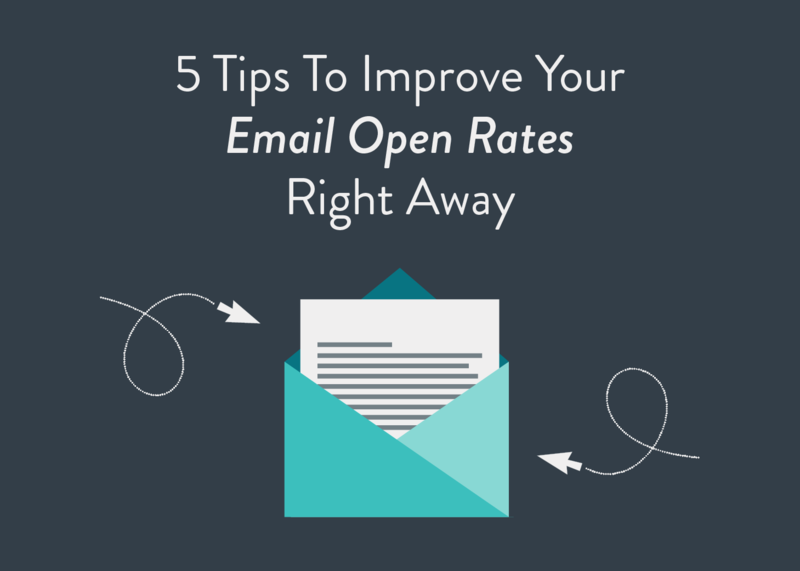 Even in the industries most partial toward email marketing, open rates only reach an average of roughly 26 percent. Most fall below 20. That means four-fifths of people who willingly give you their email address might never actually open the emails you’re sending them. It isn’t always that they’re not interested—after all, they signed up voluntarily. The reason they’re not opening your emails could be something you’re overlooking. Open rates are generally determined by subject lines alone, so knowing how to craft the right one is an important first step. But there are other techniques that can help ensure your eager audience is seeing the content they asked for. When someone subscribes to your email list, one way to ensure subsequent emails get properly delivered is to send a friendly automated “Welcome” email. 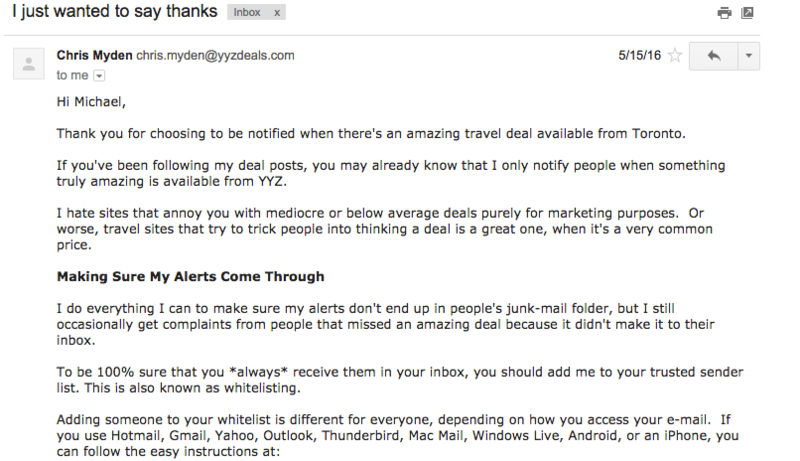 This shows people how to whitelist emails from you to prevent them from ending up in the spam folder. It’s a human approach, which is a good first impression, and the results can’t be bad: even if 80 percent of people ignore you, that extra 20 percent won’t, and that’s 20 percent of people who would otherwise have missed emails they signed up to receive. Time of day is one of the factors we recommend split testing, and for good reason—you may find emails sent at 8 p.m. do twice as well as those sent at 4 p.m. There are so many differing opinions on this matter, it’s honestly best to test it out for yourself and see what works. Some swear by emails sent between 8 and 10 p.m. when people are at home and relaxing on their phones; others claim that 10 a.m. emails see the highest open rates, when people are definitely at their desks. Other sources claim emails sent just after lunchtime are most successful because recipients are refreshed (and fed). The only way to be sure is to try some A/B tests and see what works for you—your email open rate will grow once you figure out when your audience is most enthusiastic to hear from you. Subject lines are best kept brief—not so brief that they’re vague and spammy (“Have you seen this?”), but short enough that you can intrigue your fans within the constraints of the character limit set by most phones and email apps (“Have you seen this cute video of a panda eating cake?”). A good rule of thumb is to limit yourself to around 50 characters, since longer subject lines will invariably get cut off, and nothing ruins a good semantic flow like ellipses. While you’re at it, in general, you should dive into your spam inbox and see what types of emails wind up there from time to time—it’s a good reminder of how not to craft an email subject line. Stay away from excessive exclamation points, all caps, and Capitalizing Every Word In Your Subject. Focus instead on presenting a clear, friendly, readable subject line. The “teaser” is the introductory part of the email after the subject line that people can read before opening the email. The teaser won’t always be visible, so it should complement the subject line rather than contain any critical information. Their teaser augments the offer in the subject line. Why would you want a free 5.5”x 5.5” photobook? To get those pictures off of your device and into your life as a physical object. Writing a catchy teaser is just as important as writing a good subject line, but you should be even more aware of space constraints and the fact that it will be cut off. Teasers tend to devolve into alt-text from images or code—they might even start out that way—which is why if you can at least get in a few helpful words, you’re going to rise above the rest. What’s the easiest place to find engaged readers? Here’s one: the depths of your currently unengaged readers. Re-engagement strategies are paramount to cultivating your existing email list, which makes it a good idea to trim your list of old emails periodically and re-engage subscribers who’ve fallen out of touch with your brand. Long-term data can reveal lots about open rates, too. Reflect back on a few months or years of data and look for what worked and what didn’t—direction for effective times of day, strong subject lines and proper segmentation will reveal themselves in what you’ve already been doing. All you need to do is combine this with the other key trends for modern email marketing—personalization, thinking mobile-first and social integration—and you’ll be on the cutting edge of email marketing, hands down.